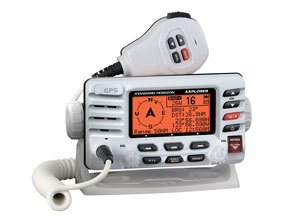 The Standard GX1700 combines a VHF radio with a GPS receiver so you don’t need to connect with an external GPS sensor or chartplotter. With all other VHF radios, the DSC emergency functions connected to the red button won’t work until you wire your radio to a GPS. You also need an MMSI number for all DSC radios. It could happen to you. Any boater could face a sudden Mayday situation caused by a fire, a collision, a capsizing/sinking boat, or medical emergency. If this happens, it’s good to know that the Coast Guard and other Search and Rescue responders are equipped with Rescue 21 technology, a new advanced radio and communications system that, as of 2017, covered 95,000 miles of coastline, navigable rivers and waterways in the continental United States, Alaska, Hawaii, Guam, and Puerto Rico. Remote sites in Alaska and along the Western Rivers were scheduled to receive modified Rescue 21 coverage by 2017, according to the Coast Guard. Just push and hold down the red DISTRESS button on your VHF radio, and it sends an automated digital distress message to the Coast Guard and all other DSC radio-equipped vessels. Rescuers instantly know who you are, where you are (using GPS coordinates), the name of your boat and the phone numbers of your emergency contacts. 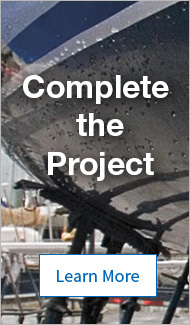 Obtain a Maritime Mobile Service Identity (MMSI) and enter it into your radio. MMSI numbers are free and are issued by BoatUS, Sea Tow, the U.S. Power Squadrons or the Federal Communications Commission if your vessel otherwise requires a station license. You also need to update your emergency info as changes happen. Interconnect your radio to a GPS receiver using a two-wire NMEA 0183 interface on all DSC-equipped marine radios and on most GPS receivers. Instructions should be provided in the radio and GPS operator’s manuals. This is an epidemic problem as ninety percent of boaters who call the Coast Guard for emergency help have not both registered and interconnected their VHF radios, meaning that our 21st Century safety network will not work. The Coast Guard must respond to about 60,000 emergency calls each year (while saving nearly 5,000 lives annually) using limited resources. Unfortunately, search and rescue responses are often suspended when rescuers cannot establish further communication with the distressed boater, have no position information or bearings for the vessel, and have no other means of contact. Boaters, please help the Coast Guard help you, and take these two quick actions to enable the safety features of your modern VHF radio.